Only 5 Latitude Plus models left in stock! 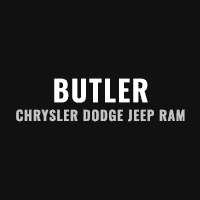 What can you expect when you enter the Butler Chrysler Dodge Jeep Ram showroom? Well, aside from a warm welcome, a great selection of new and used cars to choose from, as well as onsite auto service, a vast collection of parts and a financing team that understands the needs of drivers like you. If that sounds good to you, come see us today in Beaufort, SC. Stop into our dealership and get some drivers seat time in the new and used vehicles that catch your interest.